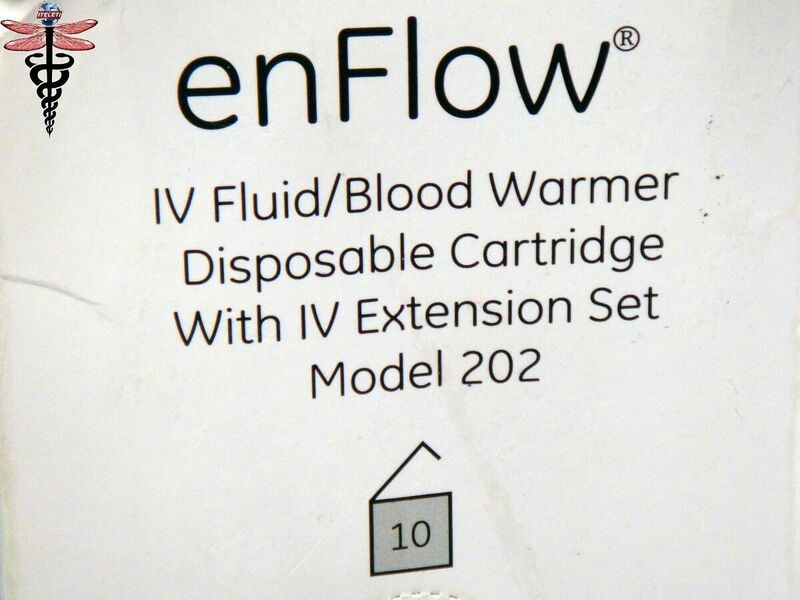 enFlow IV Fluid / Blood Warmer Disposable Cartridge With IV Extension Set Model 202 - REF 980202 Box of 10 These are BRAND NEW - SEALED in MANUFACTURER PACKAGE. 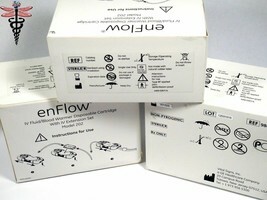 Each Cartridge is INDIVIDUALLY SEALED from the Manufacturer. This Model 202 Cartridge includes a 3 inch extension set - REF 980202. Some of the boxes may have been taped with clear tape in order to keep them sealed and keep there shape since some the boxes may have had small tears or damage due to being stored in Government Warehouse. Guaranteed to be NEW and UNUSED and each one is sealed and labeled with lot # and expiration date. 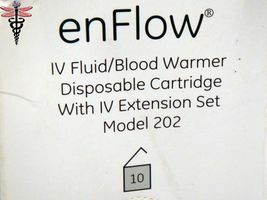 Your purchasing 10 Individually Sealed Patient-dedicated cartridges with a 3"/7.5 cm extension set (overall legnth is 5"/12.5 cm) are also available for customers that require extra length at the end of the cartridge to allow for the placement of IV accessories. 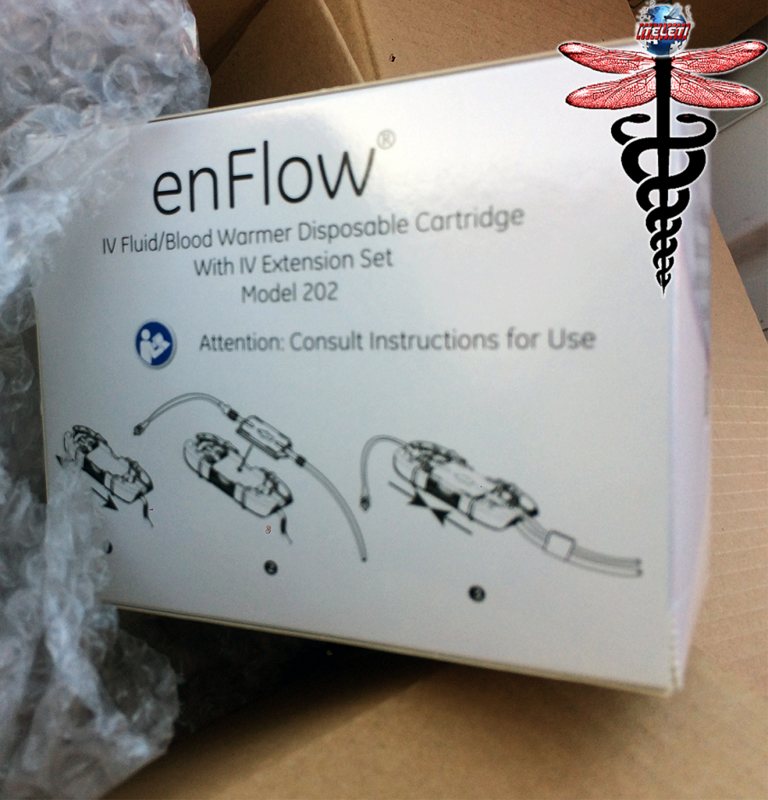 REF: 980202 REF: 980202EU EACH LOT has Ten EnFlow IV Fluid Blood Warmer Disposable Cartridges 1 Lot = 10 Cartridges SPECIFICATIONS Disposable cartridge can be connected to any standard luer IV set. 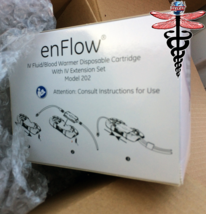 The warmer is designed so that the cartridge cannot be inserted incorrectly. 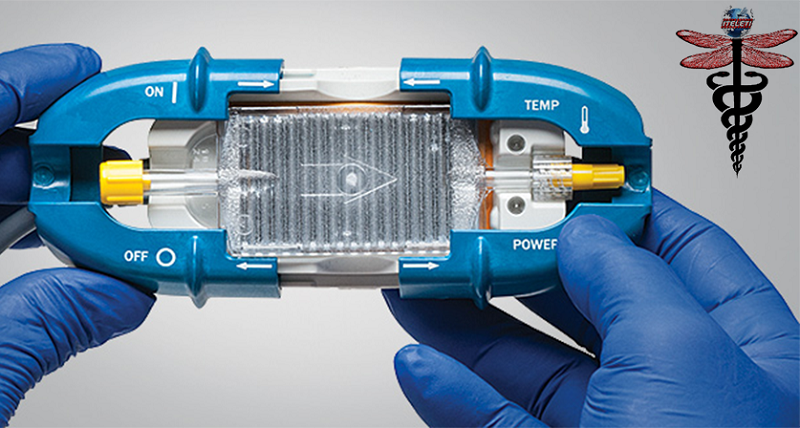 The cartridge may stay inline and travel with the patient for up to 24 hours. Requires less than 4 mL of priming volume. 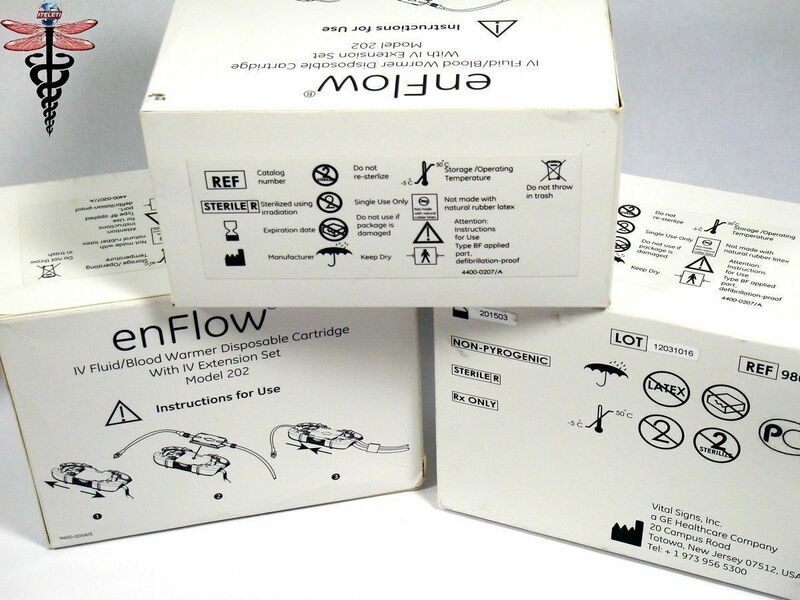 All cartridges are radiation-sterilized, non-pyrogenic, and made from materials that do not contain natural latex or di-(2-ethylhexyl) phthalate (DEHP). We offer a 30 Day money back guarantee return policy. Buyer pays return shipping PAYMENT We gladly accepted payment through PayPal which allows you to pay with a major credit card, or debit card, atm card or you can even open up an account. If you choose to open up an account with PayPal (NOT REQUIRED), you can then use gift cards, pay with your PayPal balance, or even write e-checks if linked to your financial institution. SHIPPING All Items are Shipped within 24 Hours using either FedEx, UPS, or USPS Priority Mail except on Holidays, Saturdays after 12pm and Sundays. *** PLEASE NOTE *** LISTINGS OTHER THAN FREE SHIPPING OR WHERE A FLAT RATE IS SHOWN, ARE CALCULATED USING SHIPPING THROUGH THE SET RATES OF THAT SHIPPING CARRIER, i.e. FEDEX, UPS, OR USPS. THANK YOU! TERMS OF SALE Iteleti ReMed, Medical Division of HVOKC CLEANING TECHNOLOGIES, LLC warrantees and represents that the goods are as they are described in the above listing. This item is Being Sold in "AS IS" condition and the seller assumes no responsibility for the proper or improper use of the product. We are not responsible for any defects or problems we haven’t pointed out to you either in the above description or in the above auction photos. What you see is what you get. We only accept returns of the goods if they fail to meet the description in the above listing. If the item is to be used in conjunction with patient care and/or diagnosis, it is responsibility of the buyer to get proper certifications/licenses for the use of the item. It would be highly recommended and wise to have a bio-med completely check the product for its performance and safety parameters before actual use for patient care and/or diagnosis. DISCLAIMER: Regardless of the origin of the equipment, documentation provided or identification appearing upon the equipment, i.e. 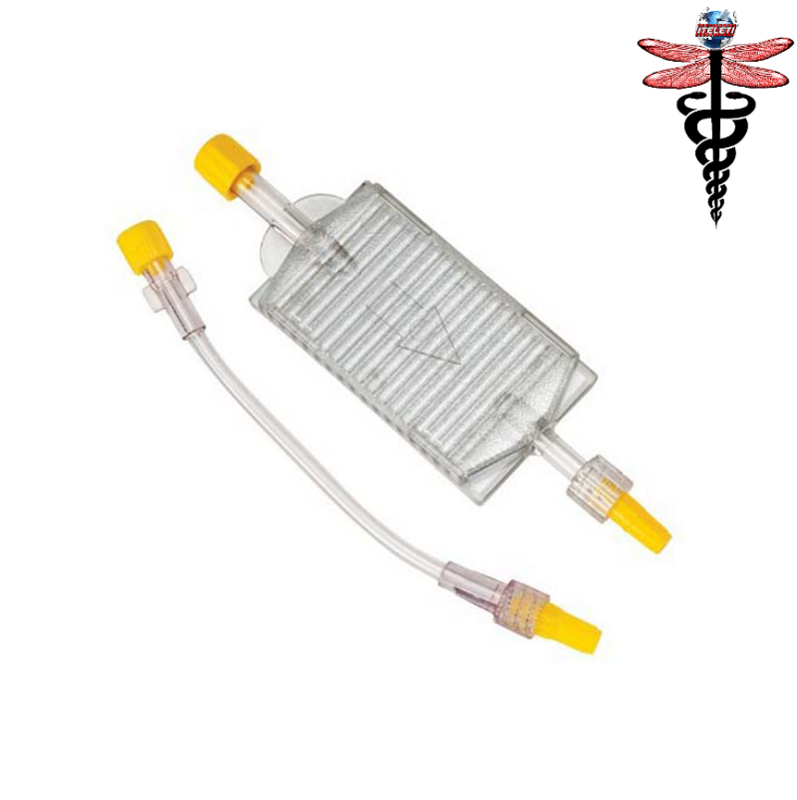 medical device label, the item (medical device or equipment) described and offered here is in no way certified for, recommended for, or offered for any specific use. The purchaser of said item (medical device or equipment) agrees that the seller, Iteleti its successors and/or assigns, shall not be held responsible or liable for any injuries or damages, whether incidental or consequential, associated in any way with the item (medical device or equipment). YOU The purchaser, on this item (medical device or equipment), indicates their acknowledgment of, and agreement to the terms of this disclaimer. This Item is guaranteed to be as we represent herein. We do not offer or imply any guarantees or warranties on any equipment sold. It is the responsibility of the buyer to ensure that all equipment is functioning properly, refurbished and/or calibrated before placing into patient use; if applicable. Should you have any questions or concerns please feel free to ask questions. 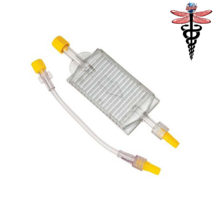 REQUIRED - FDA DISCLAIMER FOR ANY HEALTHCARE CATEGORY OR MEDICAL DEVICE LISTING The sale of this item MAY be subject to regulation by the U.S. Food and Drug Administration and state and local regulatory agencies. This item has been cleaned and handled in accordance with the manufacturer's instructions. If the item was subject to FDA regulation, then we would have to file with the FDA before any verification would commence; such as your status as an authorized purchaser. If you have any questions please contact us or you may refer to the FDA website: www.fda.gov FDA - Medical Devices; Device Regulation and Guidance; Registration and Listing The following establishments DO NOT need to register, list and/or pay fee: (1) Import Agent, Broker, and Other Parties who do not take first possession of a device imported into the United States; (2) Manufacturer of Components, that are not otherwise classified as a finished device, that are distributed only to a finished device manufacturer (807.65a applies); (3) Refurbishers or Remarketers of Used Devices already in Commercial Distribution in the United States; (4) Specification Consultant Only; (5) Wholesale Distributor that is not a Manufacturer or Importer; FEEDBACK We strive to deliver top-notch service. Iteleti ReMed wants to ensure our customers confidence in their purchase and to maintain our positive feedback. If you are unsatisfied with your order, please contact us before leaving neutral or negative feedback. It would make our day if you would leave us a 5 Star Rating, and we will return the favor! All feedback is giving immediately after it's received. Q A Q: When will my item ship? A: Items SHIP within 24 Hours or 1 business days after receiving payment-in-full (unless noted otherwise), most items will ship the next day or if paid for on Friday afternoon or Saturday or Sunday, then item will ship the following Monday. Q: Will you ship outside of the U.S.A.? A: YES. Eligible items will be shipped through UPS. Handling Fee’s APPLY – NO RETURNS ON ITEMS SHIPPED OUTSIDE THE U.S.A. (For Medical Wholesaler it is Not Cost Effective). We will ship to the following countries: United States, Canada, United Kingdom, Denmark, Romania, Bulgaria, Czech Republic, Finland, Hungary, Australia, Greece, Japan, China, Sweden, Korea, South, Belgium, France, Hong Kong, Ireland, Netherlands, Poland, Spain, Italy, Germany, and Austria. (See specifics for exclusions) Q: When is my payment due? A: Payment is Due immediately when using the PayPal - "Buy It Now" option. Payment for all other auctions are due within 2 Days. CONTACT INFO C. Mathew Hall, Medical Risk Manager Iteleti, Medical Division of HVOKC Cleaning Technologies, LLC Norman, Oklahoma, U.S.A. Tel: 1.866.918.4687 Content is protected by U.S., Canadian and International copyright, patent, trademark, and other applicable intellectual property laws. Notwithstanding the foregoing, use of any part of this listing , bonanza, auctiva, or on our website does not grant or transfer any ownership or other rights in the Content, and except as expressly provided, nothing herein or within the listing through our website,, bonanza, auctiva or any of the listing or services shall be construed as conferring to you or any other person any license under any of Iteleti’s, HVOKC Cleaning Technologies, LLC’s and/or applicable third party’s intellectual property rights (whether by estoppel, implication, waiver, or otherwise), including without limitation, any right to copy, download, display, perform, reproduce, distribute, modify, edit, alter or enhance any of the Content in any manner. Iteleti, HVOKC Cleaning Technologies, LLC and/or applicable third parties, hold all right, title, and interest in and to the listing and associated Content available on or through our website,, bonanza, and auctiva, including without limitation all information in text, graphical, video and audio formats, images, icons, designs, software, applications ("Content"). You may print or download the pages of the listing or Website solely for your lawful and personal use provided that you do not modify any of the listing or Website pages or other Content and you do not remove or alter any visible or non-visible identification, marks, notices, or disclaimers.